Lesson for today: don't bother with "closeout", "white label" etc. products. After replacing the ignition coil, I found out the terminals on the part I received from RockAuto are simply too small for the primary coil connectors that are supposed to plug into the coil, even though it's a supposed to be a compatible part. 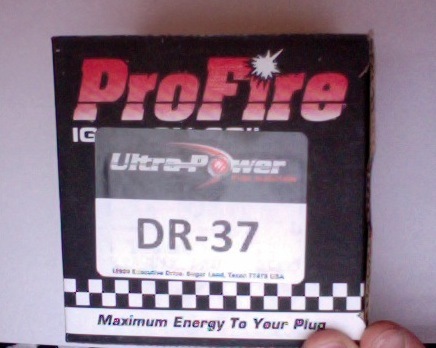 I ordered a Standard Motor Products DR-37, but what they sent was labeled "ProFire UltraPower DR-37". The difference is down to a 0.4-0.6 mm, but it's enough that the connectors simply won't stay in place. Also, the openings for the actual contacts are 1,5 mm wider and shaped differently. 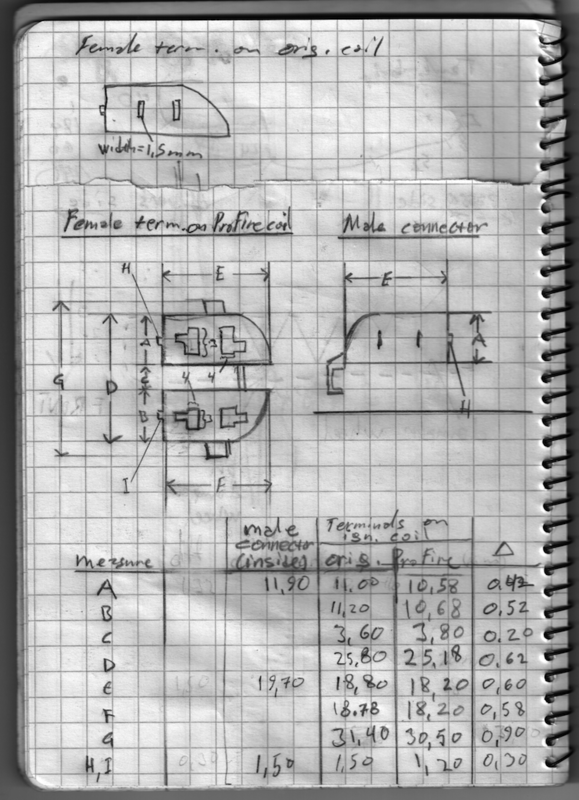 It was a bit of an effort to convince RockAuto that the part really was incorrect. Eventually they agreed to refund the $23 I had paid, even though the part had only a 30 day warranty. So, I have no complaints about their customer service. * Put the original ignition coil back. * The engine runs much better. I was able to complete a 30+ km test drive without any stalling or choking -- when you're cruising at < 50 mph everything seems mostly fine, but during WOT acceleration there were still a couple of SES flashes and back/misfires. * Towards the end of the test drive, I had cruise control set to ~55 mph adn there was some weird, repetitive jamming / halting action going on. Is the TCC trying to engage and failing? Or Highway Lean Mode failing?